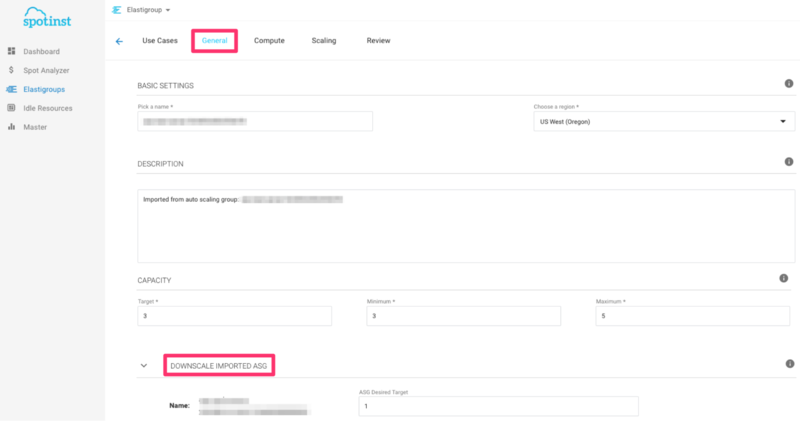 In this tutorial, you will learn how to import & run your AWS Auto Scaling Group via an Elastigroup for immediate savings. ASG’s in general, tend to be fault tolerant by nature, making them ideal candidates for Spot Instances. With Spot instances, you can achieve substantial cost savings (up to 90%) without compromising on performance or availability. Elastigroup’s Autoscaler provides scaling based on any CloudWatch or custom metric and maintains the cluster blend of Spot, On-Demand and Reserved instances that meets your desired balance between cost and availability. You are now minutes away from running your ASG on Spot Instances. Let’s get started! Login to the Elastigroup Console (console.spotinst.com) and navigate to the Creation Wizard by clicking on the Create button in the Elastigroups tab. With ASG Import, you can get started quickly by importing group configuration from an existing group. Elastigroup will import instance configurations such as AMI, security groups, and VPC. For a full list of configurations imported by Elastigroup, visit our docs. In the Auto Scaling Group window select Create an Elastigroup from an existing Auto Scaling Group, choose the Region and Auto Scaling Group you’d like to clone into Elastigroup and click Create. 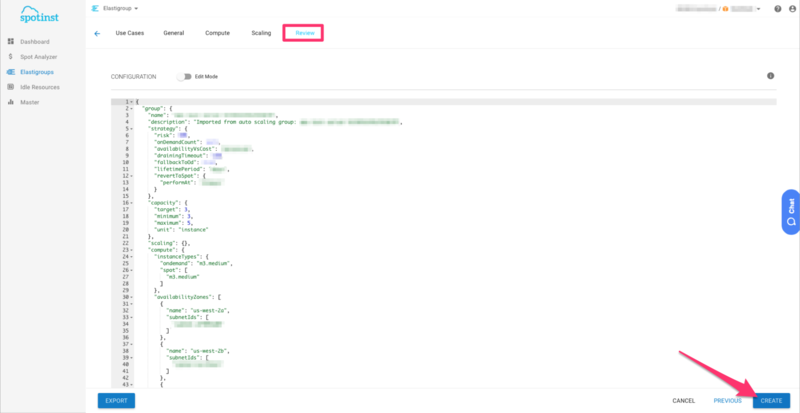 The Creation Wizard prepares a json template to launch an Elastigroup with your Auto Scaling Group configuration. All that’s left to do is click Create! Cut your costs by up to 80%, while maintaining high availability. Run on spot instances with zero overhead, The Spotinst Elastigroup platform manages your Spot infrastructure for you. You’re now in the Elastigroup Manager view, where you can review, manage and monitor your running Elastigroup. Customize your Elastigroup Configurations: The Creation Wizard gives you all the tools you need to customize the configuration of your Auto Scaling Group’s deployment on Elastigroup. Click here to learn more about configuring your deployment in the Creation Wizard. Learn about our full list of supported Service Integrations: Potential savings can be found in AWS Load Balancers, Cluster Management, CI/CD and more! Click here for our full list of supported Service Integrations. Check out our API Docs here to learn how to create an Elastigroup from your AWS Auto Scaling Group with RESTful APIs.